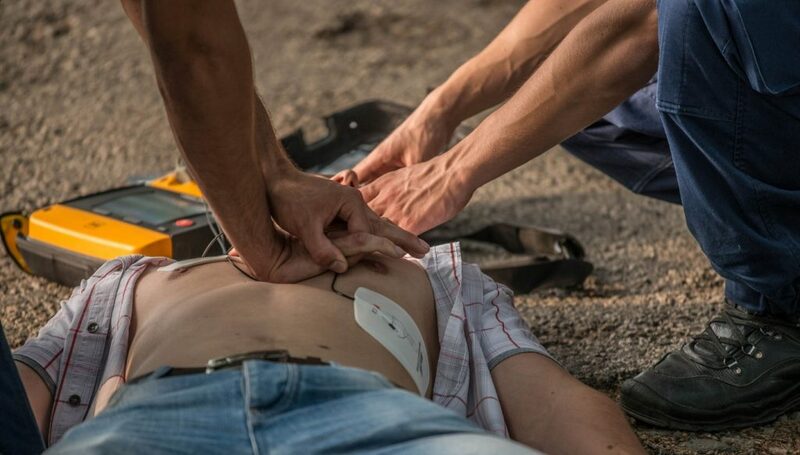 This First Aid course provides participants with the knowledge and skills in providing first aid and basic life support until arrival of medical assistance. This includes calling for help, the ability to respond to first aid situations, casualty assessment, decision making and basic life support functions including Cardiopulmonary Resuscitation (CPR). This First Aid course covers adult and child conditions. Students must be at least 14 years of age at the time of attendance. There are no course pre-requisites for this First Aid course. Current Apply First Aid certificate. You must supply a copy of your current certificate as confirmation. Students must be at least 14 years of age at the time of attendance. The online Apply First Aid workbook must be completed prior to course commencement. This is a mandatory requirement for First Aid accreditation, the online workbook link and log in details are emailed to students once enrolment is received. The online course is Mac and PC compatible and requires an internet connection. The pre-learning takes approx. 1.5hrs to complete and consists of a First Aid course manual to assist students with answering a series of multiple choice questions. Answers can be saved and finished any time prior to the course commencement and students are required to pass the workbook before attending the First Aid course. The face to face training is 7.5 hours and covers both theory and practical aspects of the First Aid course. Students are required to arrive at least 10 minutes prior to the course commencement or will be refused entry. There is a morning tea and lunch break. Lunch is not provided at the course. There is a short multiple choice quiz at the end of the training, covering the practical First Aid information learnt that day. Once completed, all students will receive a First Aid manual and CPR chart. There is a short multiple choice quiz at the end of the training, covering the practical CPR information learnt that day. Adelaide Safety Training is partnered with a national training organisation and providing discounted training for groups of 10-22 students at your office or workplace. The First Aid course can be customised to meet your industry requirements, with flexible learning programs and online pre-learning. Adelaide Safety Training uses an Advanced Management System to notify clients and students when certificates are due to expire, ensuring staff are always compliant. Our qualified trainers with 10 years of industry experience guarantees a professional learning experience. State-of-the art CPR manikins are utilised to provide accurate feedback on practical learning and progress and all students must pass the course prior to receiving certification. Contact Adelaide Safety Training team to book in your first aid group training course. On successful completion of the course participants will be issued with a Statement of Attainment for the nationally accredited course – Provide First Aid HLTAID003 which includes Provide Cardiopulmonary (CPR) HLTAID001 and Provide Basic Emergency Life Support (HLTAID002). First Aid certificates are emailed following each course with an additional wallet-sized plastic card to help keep certification details handy. The certificate is valid for three (3) years from the completion date. The Australian Resuscitation Council recommends that Cardiopulmonary Resuscitation skills be refreshed annually. Once enrolled, Healthcorp will email students an First Aid booking confirmation with venue details and maps, course requirements, terms of enrolment and online workbook instructions. Book One Day First Aid Training Course Today!